When I was in graduate school, studying Jewish history, we learned about the lacrimonious theory of Jewish history - the idea that Jewish history is basically a millennia-long tradition of persecution. This perspective, most closely associated with Kevin MacDonald, a controversial professor of psychology at California State University, ignores the miracles, the achievements and the glories of Jewish history in favor of the oppressions, expulsions and massacres of Jews throughout the ages. I mention this because I have been thinking about Jewish history quite a lot lately. I've been thinking about it because I feel very much like I'm living through it. Of course, in a very real sense, we are always living through history. What we consider our daily lives today will someday be taught as history to the generations that follow us. 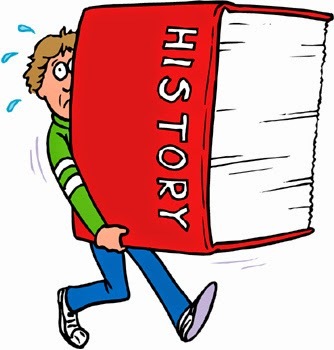 But the burden of history today is much heavier today. The sense that we are reliving the history of European Jewry in the 1930s is much stronger, more palpable. In the early 1930s, when the Nazis took over in Germany, approximately 38,000 German Jews (about 7% of the Jewish population) emigrated, primarily to neighboring European countries. Sadly, many of them were later rounded up when the Nazis took over those countries as well. Today, we watch antisemitic acts, acts of terror and death, on a very frequent basis. In January, four Jews were killed in a kosher grocery store in Paris. This morning, there is news of an attack in a synagogue in Copenhagen, Denmark. These are just two incidents in a swirl of deadly antisemitism rising in Europe. The echo of the 1930s reverberates loudly. It's an eerie feeling, living my daily life - writing for clients, buying groceries, having dinner with friends, doing laundry, making food for Shabbat - and knowing that the Jews are, once again, being targeted for death, just because we are Jews. Most of my life, at least in this lifetime, I lived in a protected sphere of relatively mild antisemitism. Decades ago, a friend from middle school accused me of being "such a Jew" because I reminded her about money she owed me. That's probably the worst incident of antisemitism I experienced personally. Now, Jewish families in Europe (and in other parts of the world) are reassessing their lives and are considering the wisdom of staying put versus up and leaving. I'm grateful that I am already in Israel. I'm grateful that I don't have to agonize over whether to stay and fight or cut my losses and split. I am profoundly aware that we are living in times when Jews are once again being forced to ask themselves difficult questions. The conversations that happened around kitchen tables in Berlin and in Frankfurt am Main, in Hamburg, in Breslau and in small towns throughout Germany in 1933 are happening again, this time in Paris and in London and in Baltimore and in New York. Has the time come, yet again, to leave? For those brave Jews who collect their worldly possessions and leave with dignity before things get much worse, and for the Jews who refuse to leave, and for the Jews who deny that there is anything to be overly concerned about, and for the Jews who have already left and resettled in the Holy Land... for all of us, may this be, finally, the very last time Jews have to leave anywhere. May this be the final shifting of the Jewish population as we await geula together in Israel.